Here is an e-mail I received recently. While you still can: We have an Information Guide on Gold ready to send you – there is ZERO cost and ZERO obligation to you. You can Get Your FREE Info Guide Here. As far as I can tell, the Birch Gold Group is some sort of brokerage firm that deals in gold and silver. I have to wonder, if I agree to use their services and have my 401k account transferred into gold, how am I expected to pay for it? Do they take a share of the gold or do I pay them in the rapidly decaying dollar? 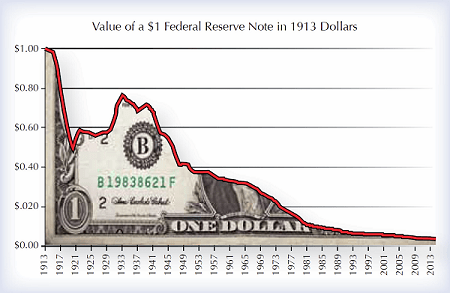 If the dollar does crash and takes the American economy with it, what makes them think that gold will be worth anything? Will people be paying for things with gold coins? If I retire, will they send me gold instead of depositing money in a bank account? What happens if the price of gold collapses? I think I will pass on this deal and just continue to use dollars. Ron Paul: Why Won’t Obama Just Leave Ukraine Alone? (marketsanity.com) Why doesn’t Ron Paul just shut up? I was reading a post at Political Outcast on the possibility that the IRS might begin to monitor sermons for political content thanks to a settlement with the Freedom from Religion Foundation. I might be tempted to regard this as exaggerated or alarmist but it happens that I had already read the FfRF’s statement on the lawsuit. While I do not think the IRS is likely to start sending agents into churches to monitor sermons, this ruling clearly allows groups like the FfRF to harass religious groups that dare to make any public statement on any political issue. Since the left politicizes everything, this means that any preacher that preaches on any subject in a politically correct way, abortion, say or homosexuality, could find have his church’s tax exemption revoked. Here is the FfRF’s statement. The Freedom From Religion Foundation and the Internal Revenue Service reached an agreement today (July 17) that resolves for the time being an ongoing federal lawsuit over non-enforcement of restrictions on political activity by tax-exempt religious organizations and churches. “This is a victory, and we’re pleased with this development in which the IRS has proved to our satisfaction that it now has in place a protocol to enforce its own anti-electioneering provisions,” said FFRF Co-President Annie Laurie Gaylor. FFRF filed suit against the IRS shortly after the presidential election in 2012, based on the agency’s reported enforcement moratorium, as evidenced by open and notorious politicking by churches. Pulpit Freedom Sunday, in fact, has become an annual occasion for churches to violate the law with impunity. The IRS, meanwhile, admittedly was not enforcing the restrictions against churches. A prior lawsuit in 2009 required the IRS to designate an appropriate high-ranking official to initiate church tax examinations, but it had apparently failed to do so. The IRS has now resolved the signature authority issue necessary to initiate church examinations. The IRS also has adopted procedures for reviewing, evaluating and determining whether to initiate church investigations. While the IRS retains “prosecutorial” discretion with regard to any individual case, the IRS no longer has a blanket policy or practice of non-enforcement of political activity restrictions as to churches. In addition to FFRF’s lawsuit, IRS enforcement procedures with respect to political activity by tax-exempt organizations have been the subject of intense scrutiny by Congress. As a result, the IRS is reviewing and implementing safeguards to ensure evenhanded enforcement across the board with respect to all tax exempt organizations. Until that process is completed, the IRS has suspended all examinations of tax-exempt organizations for alleged political activities. The current suspension, however, is not limited to church tax inquiries. Until the IRS has satisfied congressional overseers that objective procedures are firmly in place with regard to political activities by all tax-exempt organizations, the judge in FFRF’s pending suit would not currently be able to order any immediate or effective relief. As a result, FFRF has reached a point where no further immediate changes realistically can be accomplished through continued litigation. The dismissal of the pending action, however, is expected to be without prejudice, which means that further legal action by FFRF to enforce anti-electioneering provisions is not precluded in the future if necessary. Why shouldn’t churches be involved in politics? The IRS explains it. The ban on political campaign activity by charities and churches was created by Congress more than a half century ago. The Internal Revenue Service administers the tax laws written by Congress and has enforcement authority over tax-exempt organizations. Here is some background information on the political campaign activity ban and the latest IRS enforcement statistics regarding its administration of this congressional ban. In 1954, Congress approved an amendment by Sen. Lyndon Johnson to prohibit 501(c)(3) organizations, which includes charities and churches, from engaging in any political campaign activity. To the extent Congress has revisited the ban over the years, it has in fact strengthened the ban. The most recent change came in 1987 when Congress amended the language to clarify that the prohibition also applies to statements opposing candidates. I really do not see how this is constitutional, nor do I understand why churches must remain silent in order to qualify for tax exemptions. Frankly, I would prefer that churches not be exempt from taxes because I am not comfortable with the IRS deciding what is and isn’t a legitimate religion. The reason for the FfRF”s concern is the movement called “Pulpit Freedom Sunday” headed by a pastor named Jim Garlow. Mr. Garlow believes that preachers should not be restricted in their choice of subject matter for their sermons but must be free to speak out on any issue that concerns their audience, including who should be elected to office. As a result of this belief he has begun a movement of more than a thousand pastors to deliberately challenge the IRS’s ban on politicking. Again, I don’t understand why the restriction isn’t unconstitutional. Preachers ought to have the freedom to preach whatever they want to preach. Whether they should preach on political subjects is another matter. In general, I do not believe they should. The mission of the church is to get souls to Heaven and not to try to make Earth into Heaven. When the church gets involved with politics, it does not improve the political scene. Politics tends to corrupt the church. This is no reason for the government to demand that churches stay out of politics. The idea behind the Johnson amendment seems to be that if a tax exempt church interferes in politics that is equivalent to the government establishing a church by funding it. But why? If the government reduces taxes, it is not giving people money, contrary to what progressives believe. It is allowing them to keep more of their own money. If the government chooses not to tax religious institutions, it is not funding the institutions, it is refraining from taking their money. It seems to me that the demand that churches stay out of politics is a violation of their freedom of expression as well as their free exercise of religion. Perhaps it is time this law is changed in favor of freedom. Glenn Reynolds makes the point I tried to make at the end of this post better than I could possibly make it myself. The problem is, it’s hard to trust the people who are supposed to use that data to protect us to do so, when they abandoned their own in Benghazi. And it’s hard to trust them not to use that data to oppress us, when they’ve already abused their powers that way in other connections. Which is why abuse of power is itself a kind of treason: It weakens the fabric of the nation like nothing else, by undermining the trust that is essential for the system to work. If it turns out the actions of the IRS did indeed sway the election in Obama’s favor, then that would go a long way in completely eroding that essential trust. To put it another way, the main difference between a banana republic where everyone is corrupt and looking to evade the laws, and a system that works reasonably efficiently is that people trust the system to work more or less honestly and to their benefit. If you lose that essential trust, you end up with a country like modern Greece where everybody is trying to work the system. Did the IRS Win the Election for Obama? One rather alarming possibility of the consequences of the IRS delaying tax exempt status and otherwise harassing Tea Party groups is that they were unable to organize as effectively in 2012 as they had been in 2010 and so were less able to bring needed voters to the polls and defeat President Obama. In this article in RealClearMarkets, Stan Veuger discusses the possibility that the White House was behind a deliberate attempt to neutralize political opponents using the power of the state. The controversy over the IRS’s harassment of conservative groups continues. President Obama’s team continues to blame low-level bureaucrats. Some conservatives suspect a more sinister explanation: that the levers of government were used to attack an existential threat to the president’s 2012 reelection. The president and his party dismiss this as a paranoid fantasy. The evidence, however, is enough to make one believe that targeting Tea Party groups would have been an effective campaign strategy going into the 2012 election cycle. It is a well-known fact that the Tea Party movement dealt the president his famous “shellacking” in the 2010 mid-term election. Less well-known is the actual number of votes this new movement delivered-and the continuing effects these votes could have had in 2012 had the movement not been de-mobilized by the IRS. In a new research paper, Andreas Madestam (from Stockholm University), Daniel Shoag and David Yanagizawa-Drott (both from the Harvard Kennedy School), and I set out to find out how much impact the Tea Party had on voter turnout in the 2010 election. We compared areas with high levels of Tea Party activity to otherwise similar areas with low levels of Tea Party activity, using data from the Census Bureau, the FEC, news reports, and a variety of other sources. We found that the effect was huge: the movement brought the Republican Party some 3-6 million additional votes in House races. That is an astonishing boost, given that all Republican House candidates combined received fewer than 45 million votes. It demonstrates conclusively how important the party’s newly energized base was to its landslide victory in those elections, and how worried Democratic strategists must have been about the conservative movement’s momentum. The Tea Party movement’s huge success was not the result of a few days of work by an elected official or two, but involved activists all over the country who spent the year and a half leading up to the midterm elections volunteering, organizing, donating, and rallying. Much of these grassroots activities were centered around 501(c)4s, which according to our research were an important component of the Tea Party movement and its rise. The bottom line is that the Tea Party movement, when properly activated, can generate a huge number of votes-more votes in 2010, in fact, than the vote advantage Obama held over Romney in 2012. The data show that had the Tea Party groups continued to grow at the pace seen in 2009 and 2010, and had their effect on the 2012 vote been similar to that seen in 2010, they would have brought the Republican Party as many as 5 – 8.5 million votes compared to Obama’s victory margin of 5 million. President Obama’s margin of victory in some of the key swing states was fairly small: a mere 75,000 votes separated the two contenders in Florida, for example. That is less than 25% of our estimate of what the Tea Party’s impact in Florida was in 2010. Looking forward to 2012 in 2010 undermining the Tea Party’s efforts there must have seemed quite appealing indeed. The emphasis is mine. Is it possible that the Obama White House and the Obama reelection campaign (which were really the same thing) used the power of the government to suppress voter turnout? Liberals are always accusing conservatives of seeking voter suppression. Given their habit of projection, isn’t it possible that this was their strategy for the 2012 campaign? Unfortunately for Republicans, the IRS slowed Tea Party growth before the 2012 election. In March 2010, the IRS decided to single Tea Party groups out for special treatment when applying for tax-exempt status by flagging organizations with names containing “Tea Party,” “patriot,” or “9/12.” For the next two years, the IRS approved the applications of only four such groups, delaying all others while subjecting the applicants to highly intrusive, intimidating requests for information regarding their activities, membership, contacts, Facebook posts, and private thoughts. We certainly can’t have outreach in Black and Latino neighborhoods. That might conflict with the narrative that the Tea Party is composed of middle-aged White racists. It might be purely accidental that the government targeted precisely this biggest threat to the president. It may just be that a bureaucracy dominated by liberals picked up on not-so-subtle dog whistles from its political leadership. Or, it might be that direct orders were given. In any case, it doesn’t take a conspiracy theorist to note that the president’s team was competent enough to recognize the threat from the Tea Party and take it seriously. The Obama campaign has made no secret of its efforts to revolutionize turnout models for the most recent campaign. Its remarkable competence turning out its own voters has been widely discussed, and it seems quite plausible that efforts to suppress the Republican vote would have been equally sophisticated. We may never know to what exact extent the federal government diverted votes from Governor Romney and thus, how much it influenced the course of a presidential election in the world’s oldest democracy. At the very least, however, Americans of all political persuasions can be forgiven for a little cynicism when the president has the nerve to say, as he did on May 5th in his commencement address to graduates of the Ohio State University: “You’ve grown up hearing voices that incessantly warn of government as nothing more than some separate, sinister entity that’s at the root of all our problems. You should reject these voices.” And that cynicism, that lack of trust in the country’s governing institutions, becomes harmful quite easily: when the people are asked to have faith in the NSA’s efforts to protect the nation from terrorist threats, for example. Concerning the revelations of the massive surveilance programs of the NSA, I would think that some such program would be necessary to protect us from terrorists, yet the obvious disdain that the current president has for the concept of liberty and the temptation that any president would have to abuse the access to the kind of information that the NSA has been gathering makes me wonder which is the greater threat, the terrorists or our own government. Also, with the analyses that show that President Obama won re-election by harassing his opponent’s supporters,can we regard the election of 2012 as a stolen election and Obama as illegitimate? Dumbest IRS theory yet (salon.com) Calling a theory dumb does not refute it. Those Republicans are always trying to find new ways to use racial slurs that pass under the radar of non-racist Republicans. They can’t actually use words like the n-word anymore, thanks to the efforts of Progressives, but they have developed a whole vocabulary or code words that sound innocuous, but are, in fact, dog whistles that the racists understand perfectly. Michelle Malkin has compiled a short list of such words, which include; angry, constitution (written by slave owners), Chicago, inexperienced, golf, and many more. Martin Bashir from MSNBC has identified another code word used by racist Republicans, IRS. MARTIN BASHIR: The IRS is being used in exactly the same way as they tried to used the president’s birth certificate. You see, for Republicans like Darrell Issa, who knows something about arson, the IRS now stands for something inflammatory. Those three letters are now on fire with political corruption and malfeasance, burning hot. Just like that suspicious fire that engulfed Mr. Issa’s warehouse back in 1982. And, despite the complete lack of any evidence linking the president to the targeting of tea party groups, Republicans are using it as their latest weapon in the war against the black man in the White House. This strategy is nothing new. And it was explained way back in 1981, by Lee Atwater, who was Bush 41’s chief strategist. In a tape recording, Mr. Atwater revealed how Republicans evolved their language to achieve the same purpose. So this afternoon, we welcomed the latest phrase in the lexicon of Republican attacks on this president: the IRS. Three letters that sound so innocent but we know what you mean. I wonder if Lee Atwater really made the statements attributed to him, and if so, what context he made them in. Actually both states’ rights and forced busing are legitimate topics for discussion, even without any racial element. With the racial element, these topics might provide a good start to that discussion about race the liberals are always saying they want. Somehow, though, I think the discussion they want involves lecturing the rest of us on how racist we all are. The debate over the balance of power between the states and the federal government is an old one, going back to the foundation of our country. The United States is meant to be a federal republic with powers and sovereignty divided between the states and the federal government. There is much to be said in favor of a decentralized government and the increasing power of the federal government at the expense of the states is legitimate concern. It is most unfortunate, however, that the cry of state’s rights has all too often been used to defend slavery and segregation. One can believe in state’s rights without supporting either of those two odious policies, but the modern day statist is quick to made the connection. As for forced busing, surely it is simply insane to ship children to schools on the other side of a city just to achieve a racial quota, when they could be better off attending the nearest school. After all, the whole point of Brown vs. the Board of Education was that black parents did not want their children to have to attend a “black” school miles away when they could go to a “white” school just down the block. But, of course, Mr Bashir is not really interested in uncovering racism at all. He, and others like him, want to forestall any discussion of the unethical and illegal antics of the IRS by simply labeling the entire topic as racist. “IRS” is now a racist term (fellowshipofminds.wordpress.com) Before long every word in the English language will be racist. Well, I must say I feel like a fool. I actually thought that the IRS targeting Tea Party and conservative organizations was an example of the improper use of a government agency to intimidate and harass people with dissenting viewpoints. Lucky for me, I read Noam Scheiber‘s piece in the New Republic. Mr. Scheiber has explained everything and straightened me out. Democrats can’t say it; Barack Obama can’t say it; and the IRS certainly can’t say it, so here goes: The only real sin the IRS committed in its ostensible targeting of conservatives is the sin of political incorrectness—that is, of not pretending it needed to vet all the new groups that wanted tax-exempt status, even though it mostly just needed to vet right-wing groups. How do we know this? Because, for one thing, the people submitting the questionable applications were overwhelmingly right-wingers. As others have pointed out, the early Obama era was a boom time for conservative activists, who were forming groups faster than NBC burns through “Today Show” hosts. This coincided with a series of court rulings that made it possible for these groups to claim tax-exempt status without disclosing their donors under section 501c4 of the tax code.1 As a result, there were suddenly way more non-disclosing political groups trying to claim tax-exempt status than there ever had been, and the vast majority were right-leaning. No surprise, then, that the IRS would focus on whether these groups actually qualified for that status—something that was questionable since the law said their primary activity needed to be “social welfare,” not politicking. But, in fact, the IRS’s great conservative crackdown is even more innocent than that. It turns out that the applications the conservative groups submitted to the IRS—the ones the agency subsequently combed over, provoking nonstop howling—were unnecessary. The IRS doesn’t require so-called 501c4 organizations to apply for tax-exempt status. If anyone wants to start a social welfare group, they can just do it, then submit the corresponding tax return (form 990) at the end of the year. To be sure, the IRS certainly allows groups to apply for tax-exempt status if they want to make their status official. But the application is completely voluntary, making it a strange basis for an alleged witch hunt. So why would so many Tea Party groups subject themselves to a lengthy and needless application process? Mostly it had to do with anxiety—the fear that they could run afoul of the law once they started raising and spending money. “Our business experience was that we had to pay taxes once there was money coming through here,” says Tom Zawistowski, the recent president of the Ohio Liberty Coalition, which tangled with the IRS over its tax status. “We felt we were under a microscope. … We were on pins and needles at all times.” In other words, the groups submitted their applications because they perceived themselves to be persecuted, not because they actually were. So you see. There were just so many shady Tea Party groups forming that of course the IRS had to be very careful vetting all the applications. Oh but wait. According to USA Today, liberal groups had very little trouble getting tax exempt status. In the 27 months that the Internal Revenue Service put a hold on all Tea Party applications for non-profit status, it approved applications from similar liberal groups, a USA TODAY review of IRS data shows. As applications from conservative groups sat in limbo, groups with obviously liberal names were approved in as little as nine months. With names including words like “Progress” or “Progressive,” these groups applied for the same tax status and were engaged in the same kinds of activities as the conservative groups. The Justice Department wants to know if that was more than just mismanagement. Calling the IRS’ actions “outrageous and unacceptable,” Attorney General Eric Holder said Tuesday that he has asked the FBI to investigate. “We’re examining the facts to see if there were any criminal violations,” he said. A federal official who has been briefed on the matter said the investigation could focus on potential violations of civil rights law, including targeting groups based on political affiliation and infringing free speech. The official, who is not authorized to comment publicly, said authorities could consider possible violations of the Hatch Act, which restricts political activities of government workers. Mr. Scheiber wonders why the Tea Party organizations might be anxious to make sure all their paperwork was in order. For many organizers of the Tea Party, this was their first actual experience with political activism. Despite the liberal talking point that the Tea Party is Astroturf, most Tea Partiers are not the sort of professional protesters found in Soros funded Left wing political pressure groups. Quite a few of these people owned their own businesses and most were used to the idea of obeying the laws and regulations they were subject to. Also, Tea Party activists knew full well that liberal politicians from the President on down and the mainstream media hated them. The Tea Party has been called racist, bigoted, fascist, Nazis, and worse by tolerant, compassionate liberals.No slander was too outrageous to fabricate about the Tea Party. They had good reason to want to make sure everything was in order. Why did they have to wait for word from higher up? Did they not have a standardized procedure for processing 501c (4) applications? Why are conservative applicants somehow more dodgy than liberal ones. According to USA Today, the vetting only applied to groups with names like “Tea Party”. Let’s try a thought experiment of our own. Suppose a Republican administration were caught giving extra attention to liberal groups that were active in protesting against the President’s policies. Would Noam Scheiber have such a blase attitude about the matter? I think it is more likely that every liberal columnist and pundit in the country would be screaming bloody murder. Again, according to USA Today, the crime had everything to do with targeting conservatives. The people who work for the IRS must have a good idea of the anxiety even a routine inquiry produces in most Americans. Getting official letters demanding to know details about donors, books read, personal lives of board members and their families must be a terrifying experience, even for people who do not have an anti-government world view. The people behind all this were counting on that. The article goes on about profiling and implies that conservatives are hypocrites for supporting profiling Muslims as potential terrorists while opposing the idea of conservative groups being profiled as engaging in fraud for requesting tax exempt status. There are some interesting reader comments, though. I will omit the names of the people who made the comments. Considering how right-wing conservatives beginning with Newt Gingrich have targeted the IRS for crippling budget cuts and rigamarole that prevent it from effectively auditing tax returns (“… the average person [has] a one-in-200 chance of an audit, which is down from one-in-112 in 1999, and one-in-60 in 1996, according to new data from the IRS”) I would say this sounds like a case of turnabout-is-fair-play. I am down on democracy these days because the right wing has abandoned its responsibility to govern. Very well then: if they will not govern, they will damn well be ruled. Don’t you think an organization named after a famous tax refusal protest MIGHT deserve a little extra scrutiny, especially if they are claiming to be a “social welfare” organization? As far as I know, the members of the Boston Tea Party didn’t claim they were the Boston United Way. So, these people believe that a proper function of government is to punish people who are against high taxes. Interesting. Also, why do we right wingers have to choose between being rulers or being ruled. Personally, I don’t want to rule anyone. I want to be left alone. I hope that it will not be the case, but I would suspect that there are some liberals out there who would support the idea of the IRS auditing the Tea Party. If you are reading this and agree with that sentiment then consider if the situation were reversed. What if a Republican administration were targeting liberal advocacy groups for extra attention? You really don’t have to use your imagination; Presidents Johnson and Nixon used the IRS to harass anti-Vietnam War protestors. Using the power of the state to intimidate dissenting organizations is simply unacceptable regardless of party or ideology. It might be a good idea to consider alternatives to the income tax. Neal Boortz and other libertarians have proposed a “fair” tax, an national sales tax to replace the income tax. I have tended to oppose this since I believe that such a tax would be regressive in nature, placing a greater tax burden on the poor than the rich, not to mention that the political difficulties enacting such a tax would be insuperable. A fair tax wouldn’t be subject to the kind of abuse that the income tax has proved to be and it would not require individuals to provide personal information about their finances that the income tax does. There may be other alternatives to consider. When Obamacare’s individual mandate takes effect in 2014, all Americans who file income tax returns must complete an additional IRS tax form. The new form will require disclosure of a taxpayer’s personal identifying health information in order to determine compliance with the Affordable Care Act’s individual mandate. As confirmed by IRS testimony to the tax-writing House Committee on Ways and Means, “taxpayers will file their tax returns reporting their health insurance coverage, and/or making a payment”. So why will the Obama IRS require your personal identifying health information? Simply put, there is no way for the IRS to enforce Obamacare’s individual mandate without such an invasive reporting scheme. Every January, health insurance companies across America will send out tax documents to each insured individual. This tax document—a copy of which will be furnished to the IRS—must contain sufficient information for taxpayers to prove that they purchased qualifying health insurance under Obamacare. This will involve millions of new tax documents landing in mailboxes across America every January, along with the usual raft of W-2s, 1099s, and 1098s. At tax time, the 140 million families who file a tax return will have to get acquainted with a brand new tax filing form. Six million of these families will end up paying Obamacare’s individual mandate non-compliance tax penalty. As a service to the public, Americans for Tax Reform has released a projected version of this tax form to help families and tax specialists prepare for this additional filing requirement. Taxpayers may view the projected IRS form at www.ObamacareTaxForm.com. On the form, lines 3-4 show where taxpayers will disclose their personal health ID information. With the recent revelations concerning the IRS, do you think you can trust them to keep your personal health information secret? What if whatever bureaucracy that is set up to administer our health care system becomes politicized? It is not too difficult for me to imagine a situation in which members of a death panel, or whatever they are going to call it, make decisions on who gets on the organ transplant waiting list, or who gets chemotherapy, based on political affiliation. But, maybe I am just being paranoid. It’s not paranoia if they really are out to get you. During the last election cycle some Tea Party and conservative groups noticed that the IRS was unusually curious about their tax exempt status. This might be dismissed as anti-government paranoia, except that last Friday an official from the IRS admitted to doing just that. An IRS official apologized on Friday to tea party organizations and other conservative groups for inappropriately targeting them during the 2012 election, the Associated Press reports. The groups, which enjoyed tax-exempt status under the internal revenue code, were singled out for additional scrutiny of their tax exemption if their names included the words “tea party” or “patriot.” In several cases, the groups were asked to provide a list of donors for review, usually a violation of IRS policy. Lerner said the additional scrutiny was initiated by lower-level employees working out of Cincinnati, and that the practice was not a product of political bias. She told the Associated Press that high-level officials were not informed of the practice. On a conference call on Friday, IRS officials said they did not know whether any administration officials at the White House or Treasury Department were aware of the practice. During the election, several conservative groups cried foul over what they saw as undue pressure justify their tax-exempt status, accusing the IRS of sending arduous questionnaires seeking information about their members’ political activities. The story that it was just a few low level employees didn’t last long. Higher-level Internal Revenue Service officials took part in discussions as far back as August 2011 about targeting by lower-level tax agents of “Tea Party” and other conservative groups, according to documents reviewed by Reuters on Monday. The documents show the offices of the IRS’s chief counsel and deputy commissioner for services and enforcement communicated about the targeting with lower-level officials on August 4, 2011, and March 8, 2012, respectively. The two communications occurred weeks and months before Doug Shulman, then the commissioner of the IRS, told congressional panels in late March 2012 that no groups were being targeted for extra scrutiny by the tax agency. The IRS has maintained that its senior leadership did not know for some time that lower-level agents were applying extra scrutiny to applications for tax-exempt status from groups with key words in their names, such as “Tea Party” and “Patriot. The agency said in a statement on Monday that Steven Miller, who is now acting IRS commissioner, was first informed in early May 2012 that some groups seeking tax-exempt status had been “improperly identified by name” and subjected to extra scrutiny. Late on Monday, Senate Finance Committee Republicans said Shulman was briefed on the targeting in May 2012, a date not previously disclosed. An aide said committee staff learned this on Monday from the Treasury Inspector General for Tax Administration (TIGTA), an independent IRS watchdog. It keeps getting worse and worse. The Tea Party weren’t the only ones selected for special attention by the IRS. The Internal Revenue Service’s scrutiny of conservative groups went beyond those with “tea party” or “patriot” in their names—as the agency admitted Friday—to also include ones worried about government spending, debt or taxes, and even ones that lobbied to “make America a better place to live,” according to new details of a government probe. The inspector general’s office has been conducting an audit of the IRS’s handling of the applications process and is expected to release a report this week. The audit follows complaints last year by numerous tea-party and other conservative groups that they had been singled out and subjected to excessive and inappropriate questioning. Many groups say they were asked for lists of their donors and other sensitive information. In my opinion this is worse than the scandal regarding the Benghazi attacks last September 11. It is regrettable and unfortunate that four Americans lost their lives and an investigation is in order to determine what went wrong, but the worst that the Obama administration can be charged with there, is gross incompetence and negligence, and a coverup to ensure that the narrative that al-Qaeda was in retreat not be challenged. The issue with the IRS is the deliberate use of the federal government’s power to harass people and organizations opposed to the administration. Is President Obama responsible for the questionable activities of the IRS? Probably not directly. Richard Nixon almost certainly neither knew of or authorized the break in at Watergate. He was still responsible for the scandal because the President sets the tone for his administration. The Nixon administration became one in which the suggestion that someone break into the Democratic National Committee headquarters and install listening devices was not instantly dismissed as illegal and insane, but was approved and acted upon. 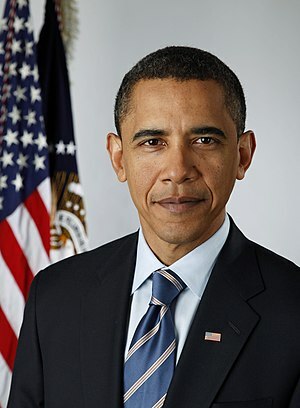 President Obama probably never suggested that the IRS should investigate Tea Party organizations, but the employees at the IRS must have suspected that such activity would be condoned by President, “If they bring a knife to the fight, we bring a gun” and “punish our enemies in the voting booth“. Barack Obama has never seemed to be especially interested in getting along with his opponents. Perhaps it is a legacy of his days as a community organizer, but Obama seems to be more interested in destroying those who oppose his policies, which makes this whole affair all the more chilling.